Across 2 Cultures - Cross-Culture Parenting and Lifestyle Blog: Koony Planet again last weekend. 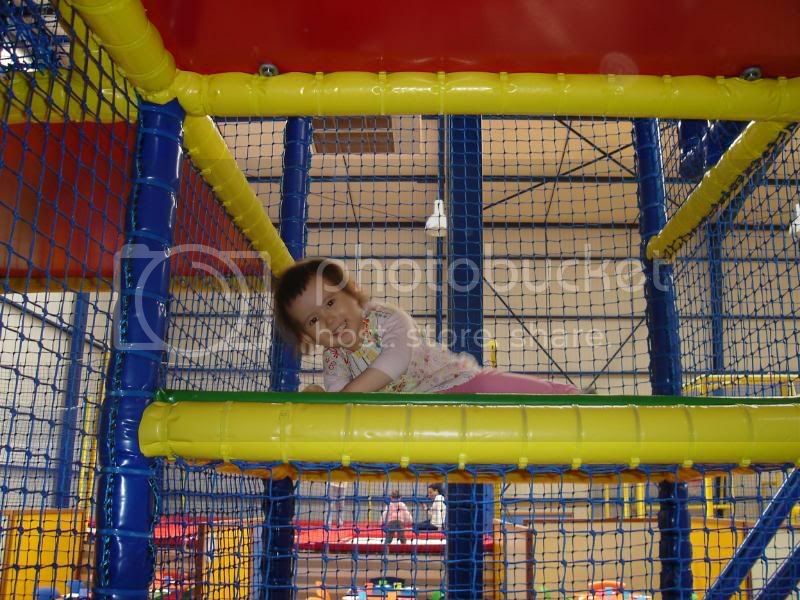 Last Saturday we went to Koony planet again as Laetitia had been asking to go "jumping jumping". 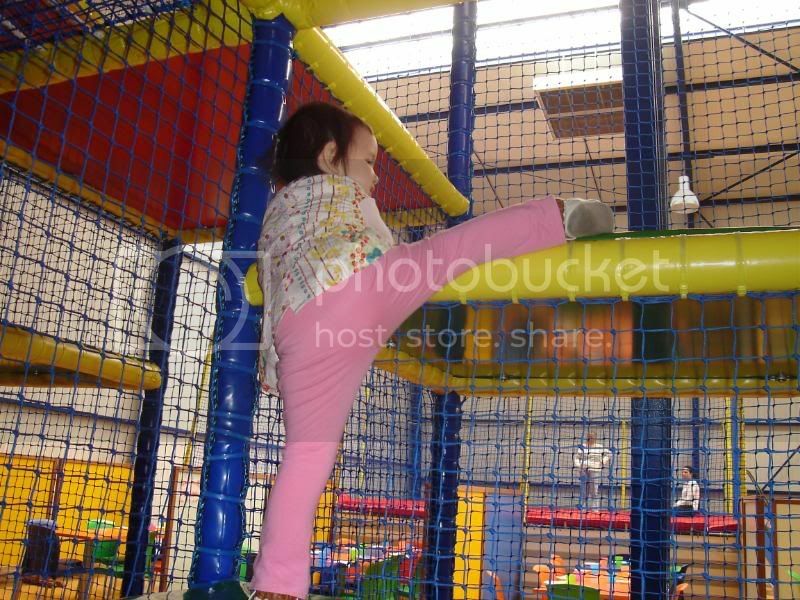 This time she was much more adventurous and went onto the play structure for the older kids and even managed to go down on the big slide ALL BY HERSELF. Adults were not allowed on it and even though we did see a couple of adults going on the slide with their kids, Etienne was very firm about us NOT doing that. Well, I was very tempted to but... I have to admit we are very different in that aspect as parents. I'm sometimes all about breaking rules and am not very conforming of rules which "I" think are just guidelines more than strict laws. However, Etienne is more rigid about following instructions. Anyway, in the end I did sort of go up the structure with Laetitia only stopping short of going down the slide with her. I had to make sure she was able to get up there safely. It was about 3 stories high and her first time doing it. Aside from that, she played by herself on the smaller structure while we sat by the side watching her. 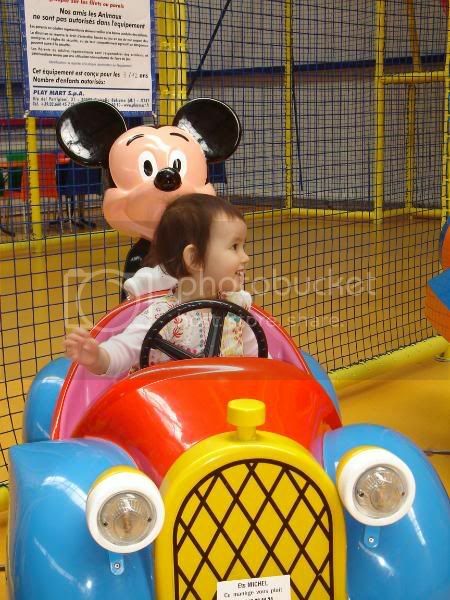 She had lots of fun that day. As usual, here are the obligatory pictures. 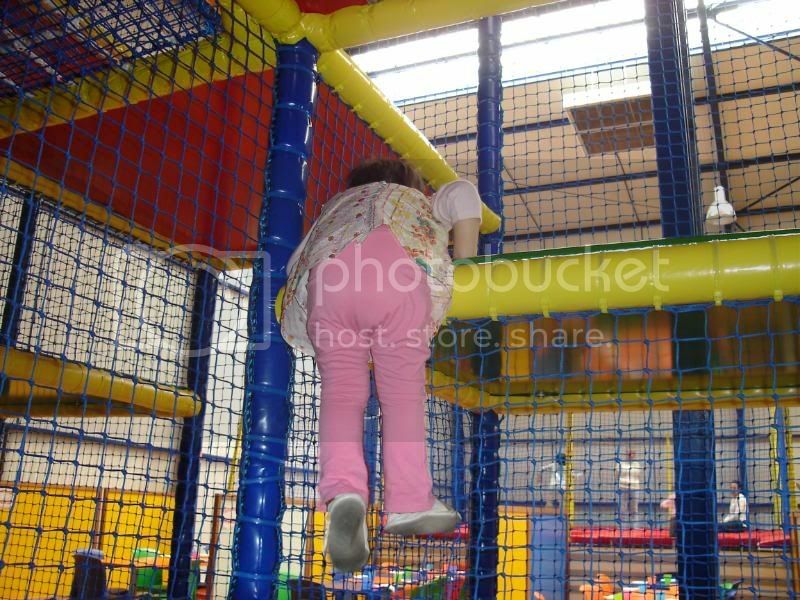 Trying to climb up the structure but realised that she is just a tiny bit too short. Learning to make use of the netting to help her. Yippeee! I did it Mummy.